If you are planning a trip to Kenya, you may be wondering about the travel options before or after your mountain trip. If you have ten days, you could spend some time in the Mount Kenya area or if you have more time, you could consider going further afield. The word ‘safari’ means ‘journey’ in Kiswahili, and Kenya is well known as the place where the idea of ‘safari’ meaning a visit to a game reserve was conceived. If you want to extend your stay after your mountain trip, and you have never been on safari, then you may want to visit the Maasai Mara which is Kenya’s most iconic and world-famous game reserve. If you visit from July to October, you will almost certainly see the greatest wildlife spectacle on earth – the migration of millions of wildebeest and zebra from Tanzania’s Serengeti eco-system up into the Mara. Also, this is the best place for seeing lions, cheetah and if you’re lucky, the elusive leopard. Big Cat Diary is filmed here for good reason! If you don’t want to travel far from Mount Kenya, there are two conservancies within a stone’s throw: Ol Pejeta and Lewa. Both conservancies have camps and lodges where you can spend a few spoiling days both relaxing and game viewing. There are also other options within hours of Mount Kenya which don’t involve spending precious time travelling the large distances between locations. Apart from many wonderful lodges and camps on the Laikipia Plateau, there are several game reserves and national parks near the mountain such as Meru, where the ‘Born Free’ story began and the location of George Adamson’s original camp, and Shaba to the east of the Samburu Reserve. Then there is Samburu with its spectacular scenery. This is a wonderful reserve, famous for its elephants and elephant conservation. 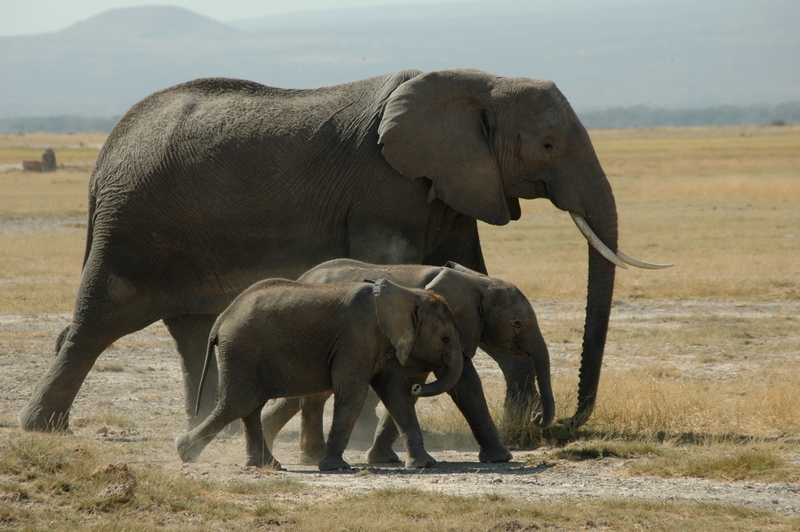 Save the Elephants is a charity based in Samburu, started by famous zoologist and conservationist, Iain Douglas-Hamilton. Samburu’s wildlife also includes some unusual species such as Grevy’s zebra, the reticulated giraffe and the entrancing giraffe-gazelle, the gerenuk. If the beach is your thing, then Kenya’s coastline on the Indian Ocean has some wonderful beaches and hotels. Sadly tourism on the coast has suffered due to recent travel advisories, but it’s now possible to visit from Malindi southwards. Watamu is very popular, with plenty of activities from dolphin watching and snorkelling trips to sunset dhow cruises in Mida Creek. It’s worth remembering that Kenya is a huge country, so beach destinations near the Somalian border are a world apart from beaches near the Tanzanian border. South of Mombasa, the beach destinations of Diani Beach and Tiwi are not far from Pemba Island, the northernmost island of the Zanzibar Archipelago.